Yep that’s right I’m building me a little 4 cylinder adventure bike. Have to buy a Bike for less than $500.00. Can be any road registered motorcycle. You are allowed to spend additional sums on the bike to make it run and roadworthy, all machines participating must be registered. It costs $100.00 to enter paid directly to DSANSW. You can raise additional funds through sponsorship of your ride. Above is the donor bike. 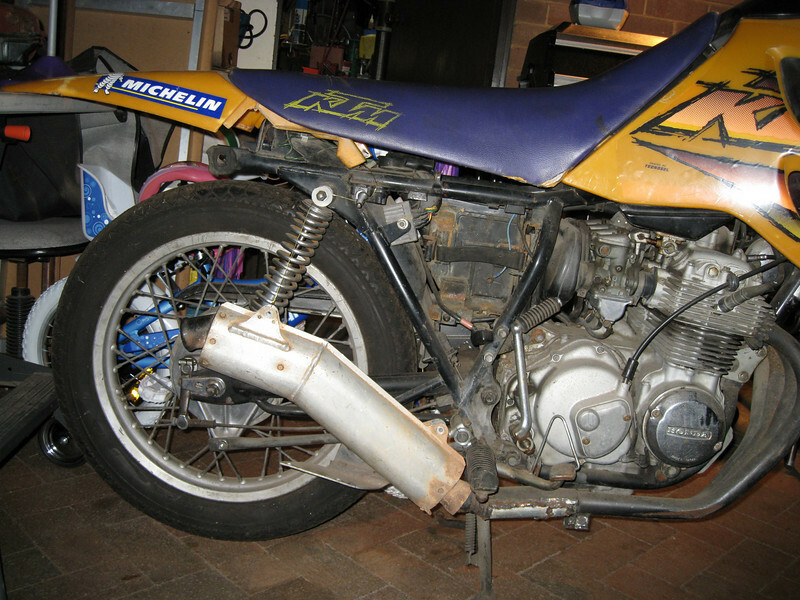 I want to splice on a XR500 front end, wheel and swing arm rear wheel. 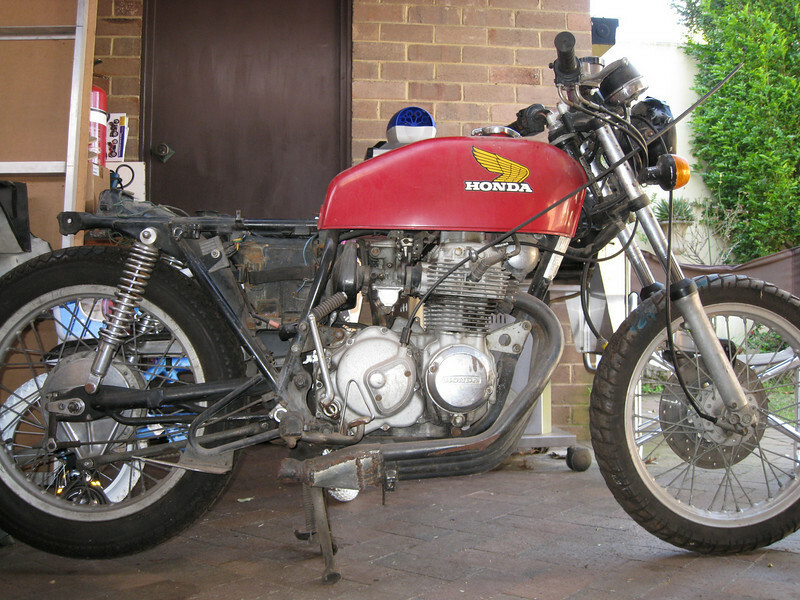 Still wondering what fuel tank, seat and guards to run. Need to build it as cheap as possible. 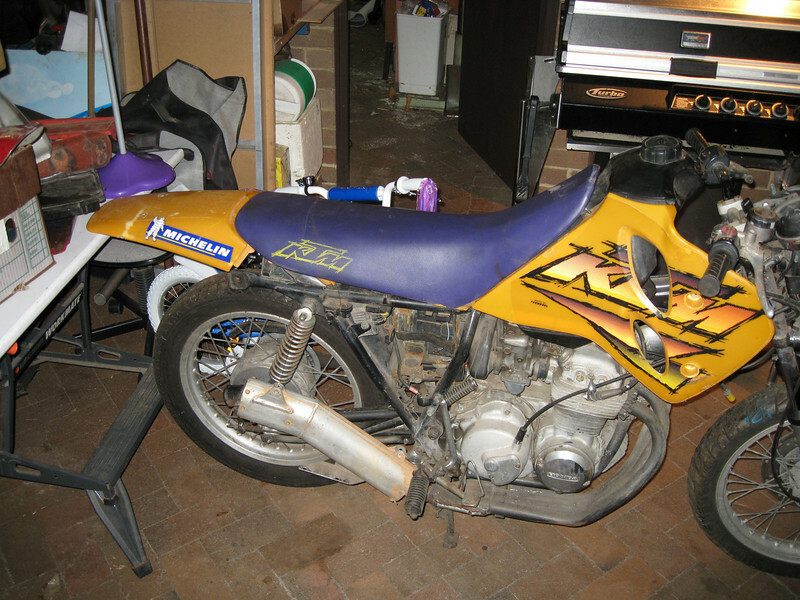 I will not be butchering this bike as will be able to return it to CB400Four at the end if I wanted too. When I first looked at it, it is very small. And quite light. I will keep posting as I progress. If any of you have any old XR parts I would love you help. 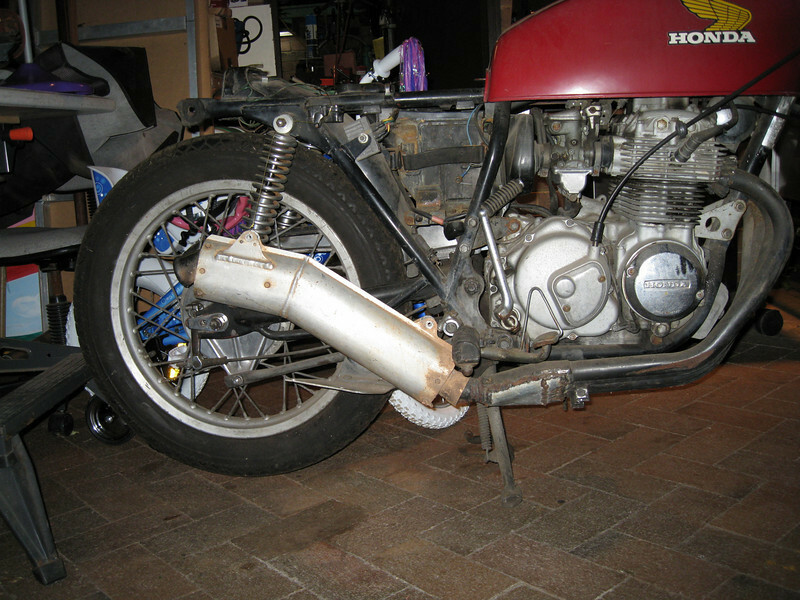 Nice one Pezz, another Skunk works special in the making Will you be fitting a "race pipe"? I have an old KTM alloy one, not the one I promised you tREV which I will see about adapting. Well i was aiming to do the condo next year i suppose that can wait. And this sounds like more fun anyway. I have an aunt with down syndrome so thats more than enough reasons to do it. Last edited by tHEtREV on Mon Aug 17, 2009 3:41 pm, edited 1 time in total. tHEtREV wrote: Well i was aiming to do the condo next year i suppose that can wait. Mate I gota ask . . . . . . . How much was the RD350LC??? Well actually I was going to ask about that rule, I payed $900 for it well over 10 years ago and it was in a lot better condition back then. But I did buy a rolling chassis for it for under $50 a year or so ago because the original was so modified and I was thinking about using that to get it back on the road. If I have it laying around can I use it? In the interest of fairness, use the $50.00 frame (Now you qualify) and whatever you have around to make it roadworthy. and an old KTM Tank Seat and Guard. Bars will be a bit hard to turn. Looks too modern and losing that classic look. 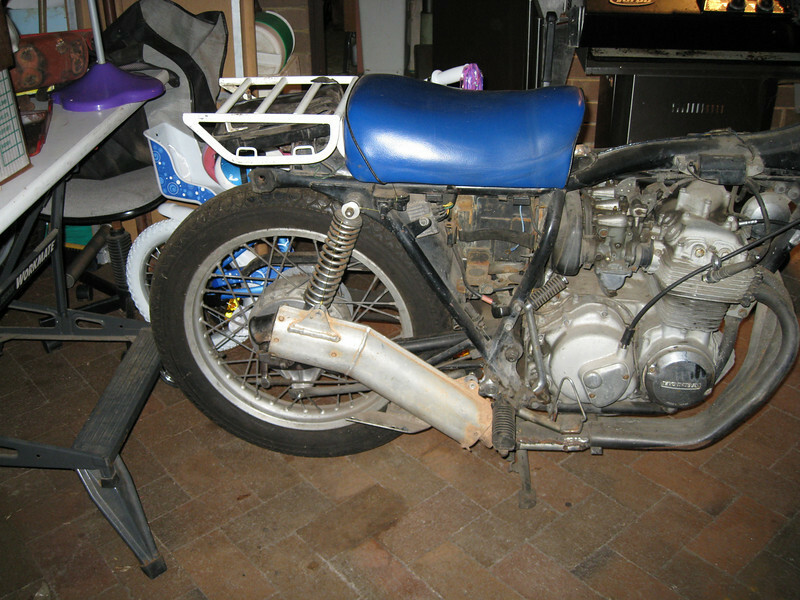 Let try a R80G/S Single seat?? There will be lots of trying and looking and binning. I have a set of Krauser pannier and top box frames somewhere in the BMW parts and will probably use them with plastic jerrycan panniers. Plus a home made top box.